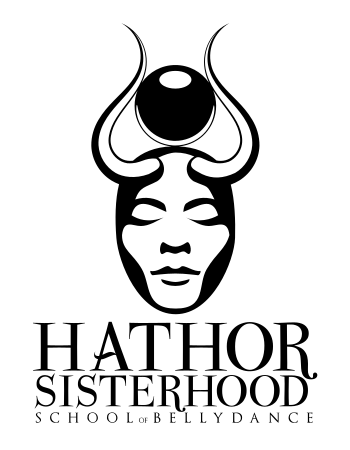 The Hathor Sisterhood School of Bellydance (HSSBD) is Waynesville Bellydance’s very own bellydance curriculum and certification program. Founded by Meaghann Lynne in 2012, this program includes five levels of course work. Each level incorporates video tutorials so students can practice at home, differentiation to respect various learning styles and paces, individualized lesson plans and feedback, complete assessments, a detailed syllabus of expectations for each level, and a certificate upon completion. The Level I class begins student training in the HSSBD program, a comprehensive bellydancer training program designed by Meaghann Lynne which includes video tutorials, individualized feedback, performance opportunities, and certification. 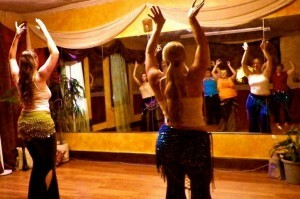 Basic bellydance movements are taught and practiced with a focus on alignment and safety. 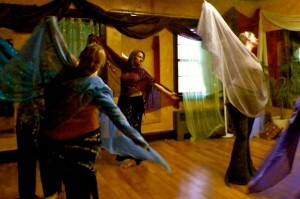 History and different styles of bellydance are covered. Continuing training in the HSSBD program, Level II students acquire greater strength, flexibility, grace, and musicality as they learn more complex movements, begin working with props (finger cymbals and veil), explore intermediate traveling and layering movements, study basic Middle Eastern rhythms, and learn to synthesize their personal expressions with the movement vocabulary of Level 2. The HSSBD program enables students to continue their bellydance training through ever more challenging movements and combinations. Level 3 students use intermediate combinations, taught in class and also made available through online tutorials, to create their own choreography that they perform during a special event at our studio. Level 3 students also learn to dance with a sword. Once again, HSSBD offers the upper intermediate to advanced dancer a challenging course of study including the art of improvised dancing, drum solo technique and performance, and student choreographed prop solo (finger cymbals, veil, sword, shamadon, fan veil, or cane). The advanced dancer will find this class an exciting adventure! Focusing on advanced layering technique, advanced exercises in strength, flexibility, and grace, professional performance mentorship, how to choreograph groups, and how to fashion a career in bellydance, this class brings the dancer to professional status.